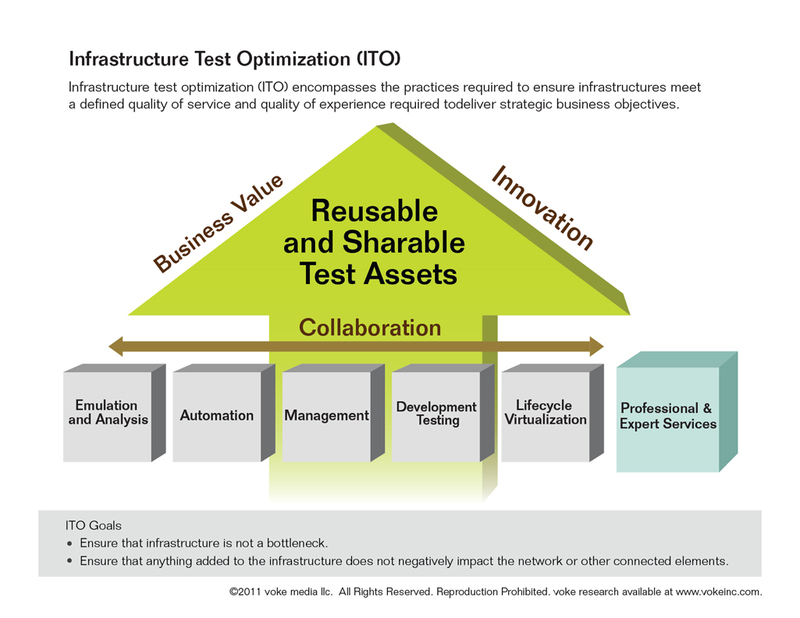 San Francisco, CA, January 11, 2012 – voke, inc. a modern analyst firm focused on the edge of innovation, today announced the publication of a new Category SnapshotTM Report on Infrastructure Test Optimization (ITO). The report highlights the business and technology value in having an optimized and collaborative testing effort for infrastructure. ITO is a new and critical category for any engineering organization, telecommunications service provider, vendor, or enterprise involved in infrastructure testing. ITO is being driven by the rapid ascendance of the cloud and mobility. voke’s Category SnapshotTM Report: Infrastructure Test Optimization is available to voke’s Research clients at www.vokeinc.com. voke, celebrating its sixth anniversary and founded in 2006, is a modern independent technology analyst firm focused on the edge of innovation. voke’s primary coverage area is the application lifecycle and its global transformation, including virtualization, cloud computing, embedded systems, mobile and device software. voke provides data and analysis for the economy of innovation. Companies of all sizes, financial firms, and venture capital organizations turn to voke to harness strategic advice, independent and impartial market observations and analysis to move markets beyond the status quo. Please visit www.vokeinc.com to become a voke research client.